Home / News / Shock on RAILA as OTIENDE AMOLLO blasts UHURU and MATIANG’I for withdrawing security attached to RUTO’s allies-Has he jumped ship? Shock on RAILA as OTIENDE AMOLLO blasts UHURU and MATIANG’I for withdrawing security attached to RUTO’s allies-Has he jumped ship? 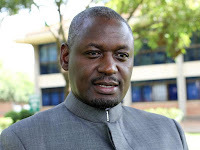 Tuesday April 16, 2019-Rarieda Member of Parliament, Otiende Amollo, has criticized the barbaric act by President Uhuru Kenyatta’s Government to withdrawing the security details attached to the Members of Parliament allied to the Deputy President William Ruto for defying the President’s directive not to engage in early 2022 politics. Speaking on Tuesday on NTV Am Live show, Amollo said it is quite expensive and tiresome to risk the lives of Members of Parliament given the security situation in the country. "I do not support withdrawing the security of MPs. It is cheaper to protect a member of parliament than to have something happen to them and then go to a by-election," he said. He asked the Government to know her priorities and desist from making decisions out of emotions, adding that the life of an MP should be protected all the time. The MPs affected include Nakuru Senator Susan Kihika's, Kandara Mp Alice Wahome, Kikuyu Mp Kimani Ichungwa and Kiambu Governor Ferdinand Waititu.